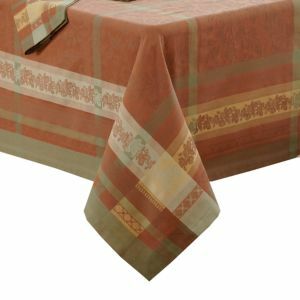 Elegant European table linens in an array of colors for every decor and setting. Elegant and refined Sferra linens for your table. Choose from an array of colors to suit every decor. Linen. Washable. Polyester. 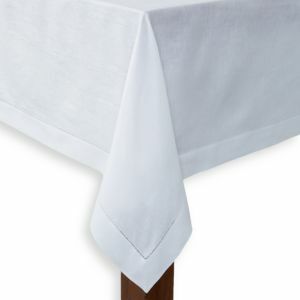 Embroidered polyester table linens. Machine wash.
Table linens with tone-on-tone butterfly embroidery and scrollwork. Polyester. Polyester. 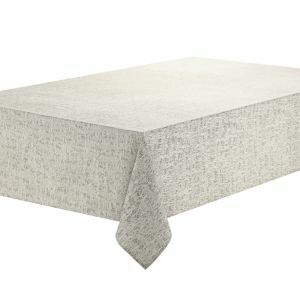 Machine wash.
Jacquard table linens with hand-drawn hemstitching are made of Egyptian cotton by Sferra. Machine wash. Made in Italy. 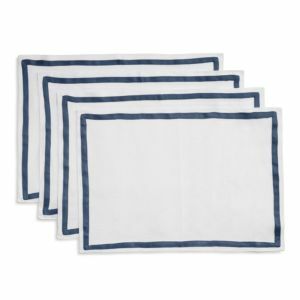 Linen table linens. Machine wash cold. Made of linen. Machine wash. 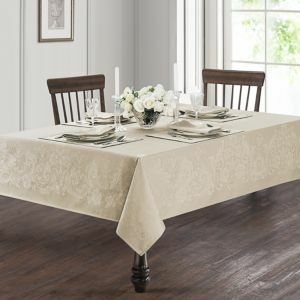 Select from a full assortment of tablecloths, napkins and placemats. Optional single-initial personalization on select items. 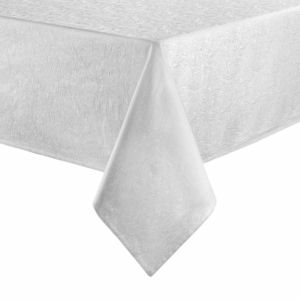 Table linens of ring-spun polyester. Easy Care, a classic basket weave inspired design in a stain-repellent and wrinkle-resistant fabric, makes it effortless to entertain in style. Deck your dining experience in the height of luxury with SFERRA's Juliet table linens, featuring high-shine tonal threading of the utmost decadence. Crafted from SFERRA's finest linen, Classico table linens feature a delicate hemstitched border—all done by hand—for an heirloom look that will last for generations. 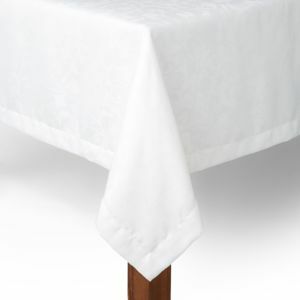 SFERRA's luxe Perry napkin of pure linen features a diamond-patterned embroidered border, a clean, tasteful accent that coordinates with the label's Festival Table Linens Beautiful linens in bold solid colors, with a row of hemstitching detail for an elegant dining table. 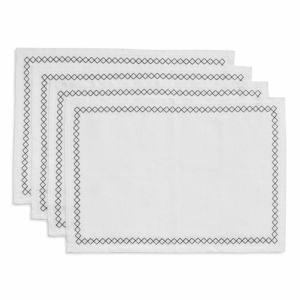 Sferra's luxe Barlow placemats of pure linen feature a chic solid border, a classic accent that blends beautifully with the label's Festival Table Linens. Handcrafted table linens. Linen/cotton. Machine wash cold. 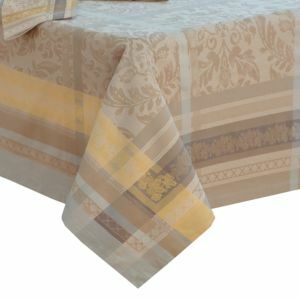 Tablecloths available in three sizes. Table runner, Placemats sold as set of four, Napkins sold as set of four Handcrafted tablecloth. Hand embroidered hem stitch border. Linen/cotton. Machine wash. Sets of four. Contrast scalloped edge. Linen. Handcrafted table linens. Linen/cotton. 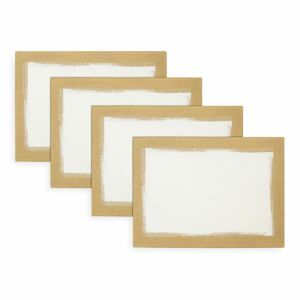 White linen/cotton with contrast border. Hemstitch detail. Machine wash. The Promenade Table Linen Collection by Villeroy & Boch features an engineered, sophisticated jacquard design perfectly woven to complement your favorite dinnerware sets and table decor. Villeroy & Boch combines timeless beauty and modern elegance with the distressed damask motif and soothing, neutral tone of its Milano tablecloth to offer a beautiful backdrop for you to create an outstanding tablescape. The Promenade Table Linen Collection by Villeroy & Boch features an engineered, sophisticated jacquard design perfectly woven to complement your favorite dinnerware sets and table decor. 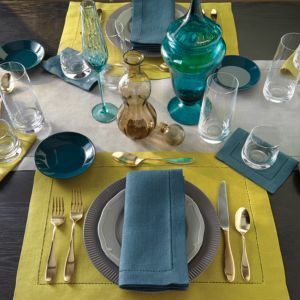 Villeroy & Boch's luxurious four-piece La Classica napkin set is available in stunning hues that accentuate their rich linen texture to offer vivid color that can stand beautifully on their own or be easily layered in to accent your tablescape. Dress up your table with the beautiful hues and rich texture of Villeroy & Boch's La Classica tablecloth in luxurious machine-washable linen. 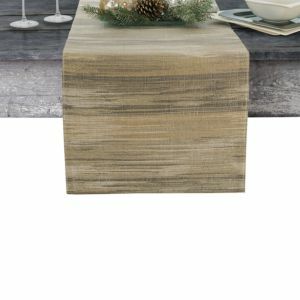 The La Classica collection will add an element of updated luxury to any table. 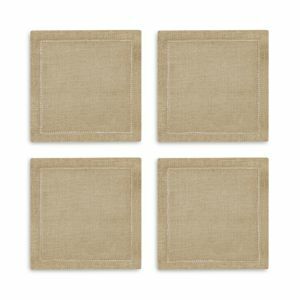 Made of linen and available in a stunning array of colors, these pieces will stand beautifully on their own or can be easily layered in to accent your tablescape. Transform your dining space with the classic French country charm of Villeroy & Boch's French Garden tablecloth, featuring a vibrant fruit and floral motif enhanced by a green and yellow border. Villeroy & Boch's classic four-piece reversible Audun placemat set incorporates an ornate floral border on one side and an intricate lattice motif on the other along with a regal gold-hue to offer a luxuriously soft and magnificent way to complete your table setting. The soothing color palette and sophisticated fruit and floral design of the Villeroy & Boch Fleurence Jacquard Table Linen Collection can instantly add an air of casual elegance to both formal and casual dining in your space. 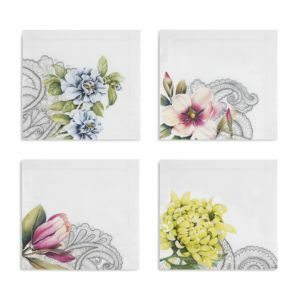 Bring an enchanting flourish of beauty to your tablescape with this soft, reversible four-piece Switch placemat set by Villeroy & Boch. Its olive leaf motif, brisk-tones and contrasting borders can bring life to any setting. With a soft metallic sheen, Villeroy & Boch's modern jacquard table linens bring modern, elegant taste to any table. Draw all eyes to a beautiful table setting with the stunning array of intricate Italian ceramic-inspired motifs and inviting brisk-tone shades of this soft four-piece Casale Blu placemat set by Villeroy & Boch. Featuring a rich paisley design, the Esmerelda table linen collection by Waterford sets the stage for an elegant table setting every day or for special occasions Featuring an ornate floral damask motif, these jacquard table linens by Waterford set an elegant table for any occasion Subtle and sophisticated, the Tory Collection from Waterford Essentials features an elegant jacquard pattern and a timeless color palette that adds the right touch of drama to your dining table. 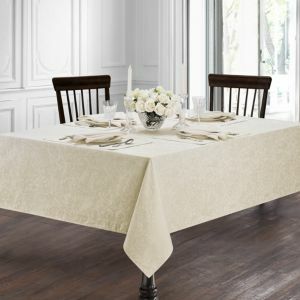 Table linens with damask pattern. Polyester. Machine wash. An abstract jacquard design lends subtle texture to these classic table linens from Waterford. Tonal floral pattern table linens. Made of cotton. Simply adorned with a double hemstitch border, the Waterford Corra collection is the perfection foundation for a sophisticated table setting. The Waterford Peony table linen collection features an allover pattern of lush blooms, adding delicate sophistication to your table Accent your table setting with the relaxed elegance of the Monroe Table Linens, by Waterford Linens. This livable collection features a textured strie pattern in beautiful tonalities of color. An elegant design fit for any table setting, the Waterford Netta collection features an embroidered trellis border in metallic hues atop a subtly textured ground. Chandler by Waterford is a highly elegant paisley design. The classic pattern will complement any traditional table setting The Waterford Celeste collection combines impeccable needle stitching with a luscious leaf motif to create beauty and sophistication for any table setting. Table linens in bird pattern. Cotton. Table linens in floral pattern. Cotton; machine wash gentle. Patchwork table linens. Cotton. Floral patterned table linens. Cotton. Cotton table linens in floral patterns. Cotton tablecloth Table linens in bird and floral pattern. Cotton. Multi-patterned table linens. Cotton. Did you know there are over 340 species of hummingbirds? If you love these magical birds (as I do) you should come visit Panama, where 59 unique varieties commingle in the verdant jungles, sipping nectar, hovering then darting and inspiring awe in people's hearts for centuries. Cotton tablecloth features a floral print based on an original watercolor painting by April Cornell. 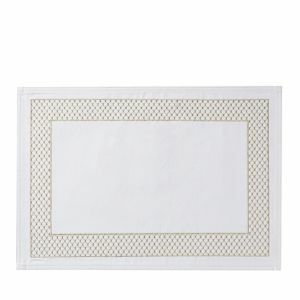 Cotton matelasse placemats with raised quilted design. Floral print is based on an original watercolor painting by April Cornell. Cotton table linens in floral pattern. Perched upon showy blooms, feathered friends refresh the refined style of the Portmeirion Botanic Birds table linens collection. Hues of blue in scrolling floral vines and straight border lines define the inviting style of the Portmeirion Blue Portofino table linens collection. Bursting with blooms, butterflies and stylized stems, the Portmeirion Botanic Garden table linens collection refreshes any tablescape.